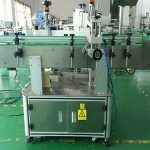 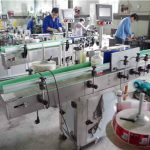 The double side automatic labeling machine is suitable for round bottles or flat bottles with double mark or single mark . 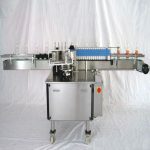 The shape belt can be inclined, and the labeling head can be adjusted at eight orientations, so the machine can be adjusted successfully in several minutes for any bottle. 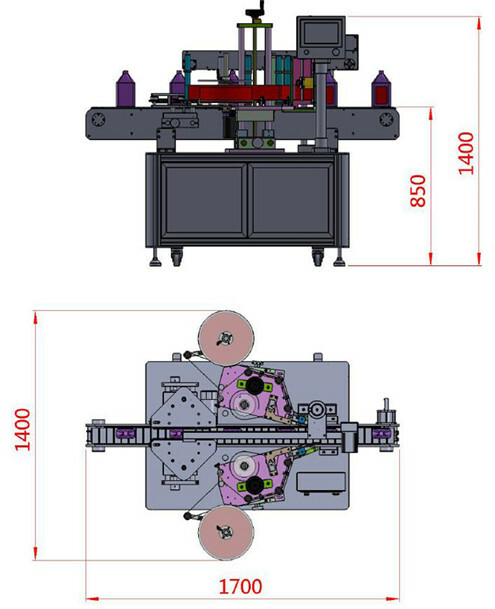 The pressure between the active axle and press roller can be adjusted , so the running direction of the lanel can be adjusted freely, The label is only pressed flexibly without causing any distortion . 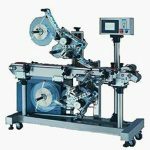 The labeling head adopts the structure of the double press rollersl, it guarantees that the label is pulled tightly but not broken because of the underneath paper die-cutting , the separated clutch makes the strain more balanced. 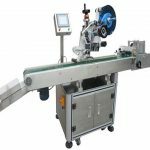 The touch screen based human interface in Russian and English with one online helping system makes it easy for operate the machine. 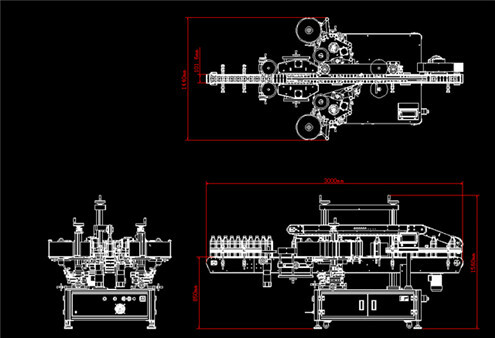 The press belt is feared into the main transporting line , so it makes the two transporting lines work in synchronous absolutely. 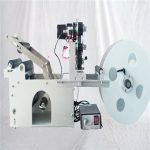 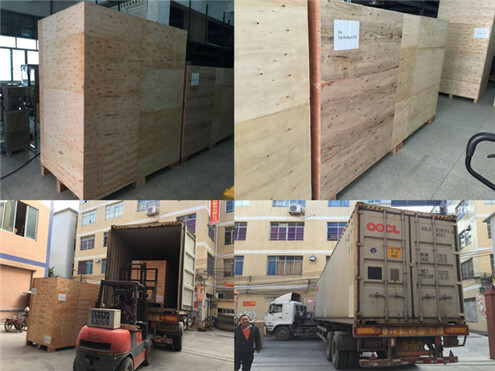 The machine is supplied with the famous sever motor ,so it realizes real closed loop controlling and it avoids the phenomenon of "the blind man walk" when supplied with the stepper motor. 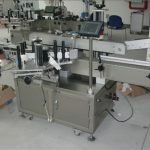 The multi channel encoder detects labeling position precisely at high speed. 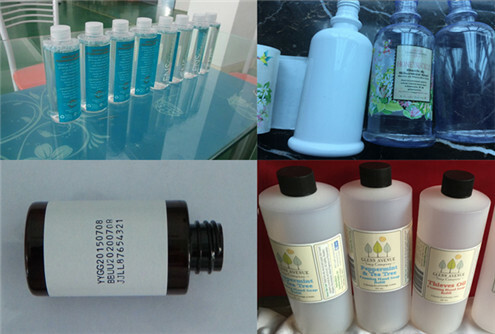 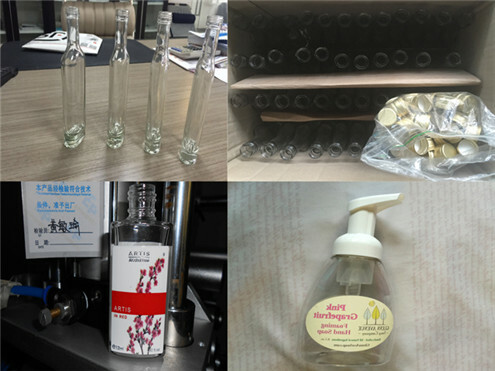 It is especially applicable to the crystal bottles labled with transparent labels. 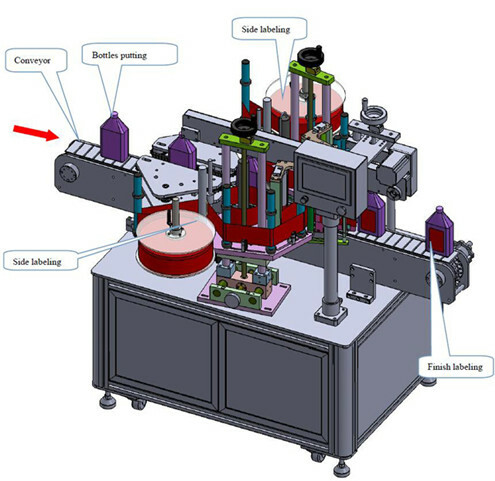 The optional air driving and roller labeling set can label round bottles precisely. 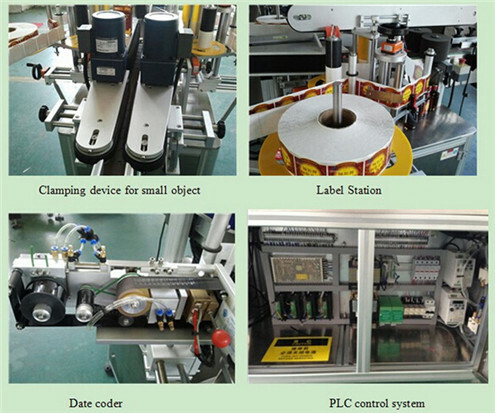 ■ Applicable Label: 15-180mm in height, 10-200mm in length. 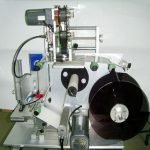 ■ Max Label: 420mm in diameter, 76mm in inner diameter of paper roll.